Book: Matthew (3), John (1), Philippians (1), 1 John (5). Series: 1 John - The Authentic Christian Life (5), Missions (1), The Gospel (1), Theme (1), His Church: Understanding and Advancing the Local Church (8). Service: Sunday Morning (15), Midweek Meeting (1). 1 John 5:1-2 (Part of the 1 John - The Authentic Christian Life series). Preached by Pastor Nathan Huston on Dec 27, 2015 (Sunday Morning). 1 John 4:17-21 (Part of the 1 John - The Authentic Christian Life series). Preached by Pastor Nathan Huston on Dec 13, 2015 (Sunday Morning). 1 John 4:12-16 (Part of the 1 John - The Authentic Christian Life series). Preached by Pastor Nathan Huston on Dec 6, 2015 (Sunday Morning). 1 John 4:7-11 (Part of the 1 John - The Authentic Christian Life series). Preached by Pastor Nathan Huston on Nov 29, 2015 (Sunday Morning). 1 John 4:4-6 (Part of the 1 John - The Authentic Christian Life series). Preached by Pastor Nathan Huston on Nov 22, 2015 (Sunday Morning). 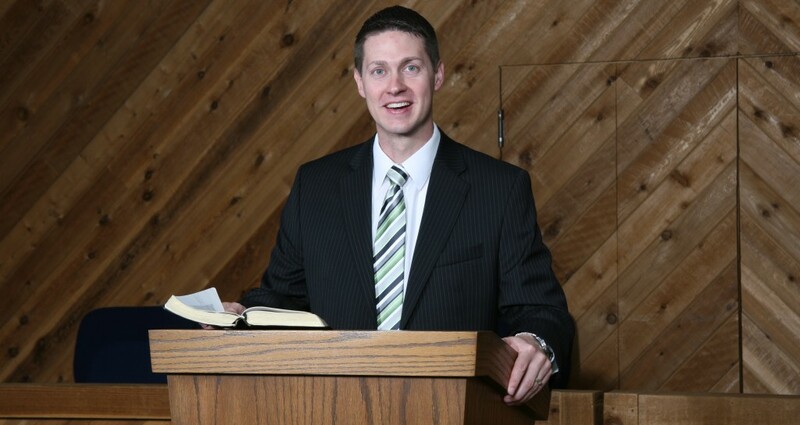 Preached by Pastor Nathan Huston on Mar 22, 2015 (Sunday Morning). (Part of the His Church: Understanding and Advancing the Local Church series). Preached by Pastor Nathan Huston on Feb 22, 2015 (Sunday Morning). Preached by Pastor Nathan Huston on Feb 15, 2015 (Sunday Morning). Preached by Pastor Nathan Huston on Feb 8, 2015 (Sunday Morning). Preached by Pastor Nathan Huston on Feb 1, 2015 (Sunday Morning). Preached by Pastor Nathan Huston on Jan 25, 2015 (Sunday Morning). Matthew 16:19 (Part of the His Church: Understanding and Advancing the Local Church series). Preached by Pastor Nathan Huston on Jan 18, 2015 (Sunday Morning). Matthew 16:18 (Part of the His Church: Understanding and Advancing the Local Church series). Preached by Pastor Nathan Huston on Jan 11, 2015 (Sunday Morning). Matthew 16:13-18 (Part of the His Church: Understanding and Advancing the Local Church series). Preached by Pastor Nathan Huston on Jan 4, 2015 (Sunday Morning).